After cleansing apply a fine mist onto facial skin, neck and décolletage until the skin is lightly damp then press onto skin and allow to dry. 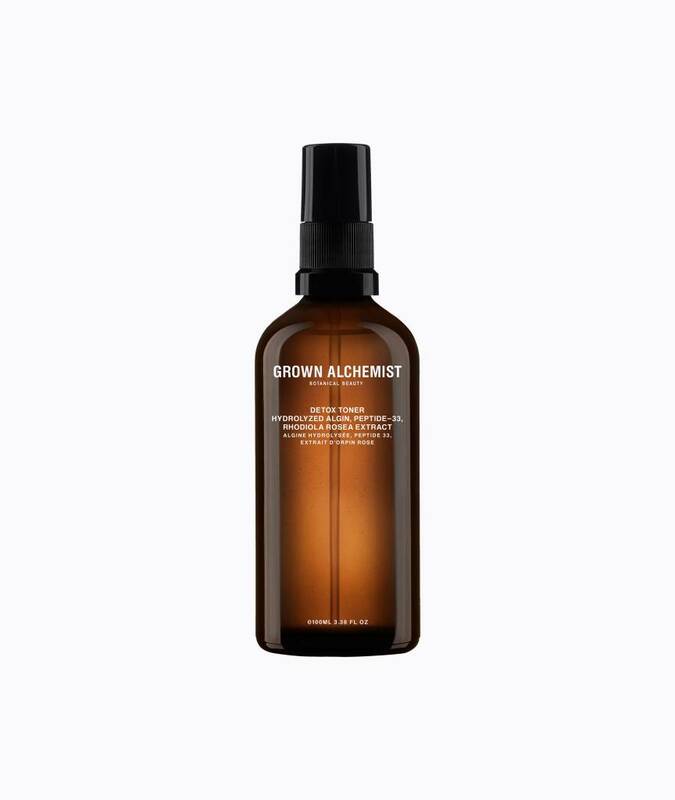 Follow with your preferred Grown Alchemist facial cream. Rosa Damascena (Rose) Flower Water, Sodium PCA (Plant), Hydrolyzed Algin (Kelp Extract), Sodium Hyaluronate (Plant), Diaminopropionoyl Tripeptide-33 (Peptide-33), Ginkgo Biloba Leaf Extract, Panax Ginseng Root Extract, Ganoderma Lucidum (Reishi Mushroom) Extract, Rhodiola Rosea Root Extract, Ribes Nigrum (Blackcurrant) Extract, Caprylyl Glycol (Plant), Sodium Phytate (Plant), Gluconolactone (Yeast) Extract, Sodium Benzoate, Citronellol (Plant), Linalool (Plant), Geraniol (Plant).